Popups are one of the best way to grab your visitor’s attention, build your email list, and share a targeted ad message. Here are 3 creative ideas to implement with only 1 Joomla! Extension. Responsive Scroll Triggered Box. Grab your visitor's attention and tell them about a specific page they should visit. Your checkout page is the final step of your conversion process. Display a special discount offer to encourage on-spot purchase using RSTBox' Exit Intent Technology. Do you want to grab your user’s attention? There is nothing that does a better job than a fullscreen call to action. 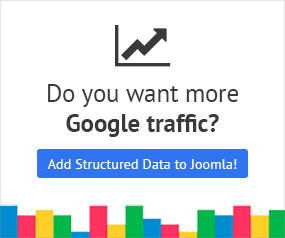 Subscribers to get Free Joomla! tips, extension updates and deals! Do you manipulate your users or do you guide them?